Dental hygiene is defined as the science and practice of the recognition, treatment and prevention of oral diseases. The history of dental hygiene research is considered in the context of the development of the discipline and an emerging infrastructure. Research-related events supporting the growth and maturation of the profession are considered from the early years to the most recent. The benefits of preventive oral health services provided by dental hygienists have been supported by research, and the practice of dental hygiene has expanded as a result of research findings since its inception 100 years ago. Dental hygienists' engagement in research, however, did not begin until the 1960s as research associates or administrators, primarily with dental researchers as primary investigators. The Journal of Dental Hygiene (JDH) has provided information for dental hygiene practice since 1927, and has been the primary venue for dissemination of dental hygiene research since 1945. Graduate education in dental hygiene at the master's degree level and the work of early dental hygiene researchers led to the first conference on dental hygiene research in 1982. Over 30 years later, dental hygiene has established a meta-paradigm and defined conceptual models, built an initial infrastructure to support research endeavors and contributed much to the development of dental hygiene as a unique discipline. A doctoral degree in the discipline, continued theory-based research, initiatives to foster collaborations between dental hygiene and other researchers and enhanced capabilities to attract funding to support large scale studies are goals that must be attained through the efforts of future researchers to address the needs for additional development in the discipline of dental hygiene. Dental hygiene research supports the growing discipline and its value to society. Dental hygiene is defined as the science and practice of the recognition, treatment and prevention of oral diseases.1 The care provided by dental hygienists must be based on knowledge and research findings that support the delivery of the highest quality of dental hygiene care possible. The purpose of the medical, dental, nursing and allied health sciences is to enhance the health of individuals and populations. It is in this regard that dental hygiene practice and science have grown to be inextricably intertwined over the past century (Table 1). A discipline is defined as “a branch of knowledge, typically one studied in higher education.”2 In addition a discipline has the following commonly accepted characteristics: a theoretical body of knowledge that is somewhat distinct and arises from science, a knowledge base that is relevant to some societal need or demand and education in a discipline that produces disciples (graduates or practitioners) who are trained by scholars or educators within the discipline to adhere to specific regulations and guidelines embraced by the discipline.3,4 These guidelines are based on a body of knowledge, scientific principles and research findings which continually test the assumptions of the practice of that discipline. Dental hygiene has developed several documents that provide the foundation for the discipline. It is in this context that the history of dental hygiene research is discussed in this paper. The inception of the profession of dental hygiene was supported by research conducted nearly 100 years ago. Dr. Alfred C. Fones opened the first school of dental hygiene, developing the concept of prevention specialists called “dental hygienists.” Previous attempts to establish formal courses for “dental nurses” had failed, and Fones preferred the term dental hygienist rather than dental nurse because of his commitment to providing preventive interventions and teaching children oral hygiene for prevention of dental diseases. In 1914, one year after the origin of dental hygiene in 1913, Fones launched a project to collect data to document the effectiveness of these dental hygienists in the schools providing assessments and oral prophylaxes and teaching students about oral hygiene at home as disease prevention measures. The theory was that early education regarding oral hygiene could impact oral health throughout the lifespan. The Fones' Five-Year Demonstration Project, initiated in public schools, provided documentation of the success of dental hygienists in education and dental disease prevention.5,6 Fones' conceptualization of the dental hygienist as an oral disease prevention specialist provided the initial focus and framework for the discipline and its specialized body of knowledge. Over 20 years later, Brooker presented a seminal paper to the New York State Dental Hygienists' Association titled, Oral Hygiene as an Exact Science. This article was published in the Journal of the American Dental Hygienists' Association (JADHA, now JDH) in 1926.7 He presented information grounded in a decade of research that documented the effectiveness of “mouth cleanliness” in the prevention of dental diseases. The question of the health and preventive value of oral hygiene was raised when Brooker asked the audience, “Does hygienic care of the surfaces of the teeth and gums prevent disease, or are you merely cosmeticians and beauticians…” He emphasized how critical it is to have the public's confidence in the effectiveness of dental hygiene care for disease prevention if the dental hygienist was to proceed constructively. Brooker went on to assert that a careful review of the available data at that time demonstrated that the principles underlying dental hygiene services were “as exact in their scientific details as those upon which dentistry is practiced.” This tenet suggested the importance of dental hygiene research to the profession, dental hygiene practice and the public. However, research did not become a responsibility of dental hygienists until much later. It is interesting to note that many of today's preventive oral health principles and practices were first described a very long time ago indeed. In 1940, American Dental Hygienists' Association (ADHA) President Perry emphasized in her address before the same annual meeting in New York 14 years later that it was important to promote an understanding of scientific procedure. However, she went on to say that producing dental hygienists who are scientists was “improbable.”8 Part of the reason for this opinion, of course, was related to the short term of education prescribed for dental hygienists. Some of the earliest dental hygiene research manuscripts published in JADHA in 1945 and 1946 reported results of dental hygiene education studies, although research manuscripts comprised far less than 10% of the Journal.9 The first research article was entitled, Report on the Curricula on Training for Dental Hygienists, by Greenwood, a dentist and chair of a dental hygiene program.10 Early dental hygiene programs were 8 months to 1 year in length, and the first uniform minimum requirement for programs to be 2 years in length was not established until 1947.8 The results of this early dental hygiene education research is credited, at least in part, with the establishment of minimum educational standards of 2 years. Advanced education at the graduate level, however, is a requirement for scholarly activity and research in a discipline. During the years 1955 through 1959, research manuscripts remained less than 10% of all manuscripts in JADHA. Opinion papers related to the profession of dental hygiene and dental hygiene education increased over information articles for the first time, however, the focus on practice continued. Dental hygienists had not yet embraced their role in research, and needed to do so to advance the profession of dental hygiene and eventually develop from a field of study to a discipline. The first graduate program was not established until 1960 at Columbia University.8 Approximately one-third of the curriculum was devoted to research and the remainder of the time was divided equally between education and administration. These initial students were involved in an auxiliary capacity in research projects that were planned with and for them. Kutscher, the dentist coordinator of the graduate program, decided, after the first students had graduated, to revise the research course and activities to allow the master's candidates to plan, conduct and publish their own research projects following “suitable indoctrination.”11 Two other universities followed suit, and by 1965, master's degree programs including research courses and requirements for dental hygienists were established at the University of Iowa and the University of Michigan. Thus, the dental hygienist's engagement in research and advanced education at the master's level were launched as necessary enterprises to establish a body of knowledge essential to becoming a discipline and gaining societal trust. In 1966, the first articles regarding the role of the dental hygienist in research were authored by the recent graduates and faculty at Columbia University and published in JADHA. A 3-part report authored by Kutscher et al regarding the role of the dental hygienist in dental research encouraged dental hygienists involvement in dental and allied research teams and reported about the research program for dental hygienists at that institution.11,12 By 1968, the National Institutes of Health awarded grants to dental hygiene faculty to support research, teaching and related activities, although most, if not all, of the principle investigators were dentists serving as faculty and administrators in dental hygiene programs. In 1971, an article entitled, The Hygienist in Dental Research, was published in JDH, where the author described her role working as a member of a dental research team for the previous 6 years.13 The term dental hygiene research was not yet used, and the role of the dental hygienist in research was described as auxiliary, assistant, co-examiner, site supervisor or administrator, rather than as a dental hygiene researcher, despite the fact that 2 of the dental hygienist authors held master's degrees. These early dental hygiene scholars continued their engagement in research, became independent investigators and fostered others in the process. McClean became the program director for the dental hygiene programs at Columbia University, after being one of the first master's degree graduates. Her dedication to dental hygiene research for many years was important to the advancement of research in the developing discipline. For the next decade, the advancement of dental hygiene research relied largely on a few dedicated individuals who were involved in studying dental hygiene or dental hygienists and who also participated in fostering dental hygiene research for the advancement of the profession and the discipline. In the mid-1970s, ADHA appointed its first Committee on Research, initially unfunded and then approved for funding by the ADHA House of Delegates shortly thereafter. The committee's early work involved eliminating the mystique of research in dental hygiene, educating the ADHA membership about the importance of research to a profession and emphasizing the role of the dental hygiene researcher in conducting research to support dental hygiene practice and education. Many questioned the necessity but support was growing. The profession of dental hygiene was once again impacted by findings of research studies funded by federal agencies and conducted largely by dental educators. Lobene lead The Forsyth Experiment at the Forsyth Dental Research Institute, documenting improved cost and no loss of quality when restorative dental services and local anesthesia were delivered by trained dental hygienists.14 Another study at the University of Pennsylvania School of Dental Medicine by Schnitsky and funded by the National Institutes of Health found that dental hygienists could be trained as periodontal co-therapists.15 These studies and others impacted dental hygiene practice, leading to expanded practice acts and delegation of duties. The inter-relationship between practice, education and research was unquestionable. In 1975, Mashioff presented a paper, entitled The Future of Dental Hygiene, to the 52nd Annual Session of the ADHA in Chicago, Illinois. The paper was subsequently published in JDH in 1976.16 Her remarks focused on the emergent roles of the dental hygienist, expanded duty dental auxiliaries (EDDA) and Teaching Expanded Auxiliary Management (TEAM) concepts to dentists, as well as alternative practice settings on the horizon for dental hygienists. Mashioff utilized the findings of EDDA and TEAM research to support change in the dental hygiene profession. She suggested that dental hygiene education programs develop expanded options for dental hygienists and stated, “The hygienists of today must, of necessity, become a doctor of dental hygiene of tomorrow or the ‘generalist’…” to meet the rising demands for advanced dental hygiene services. Masinoff also predicted new specialties would emerge for dental hygienists including research, among others. Momentum was building. In 1978, the ADHA Foundation (now the ADHA Institute for Oral Health) was created to provide funding for the educational and research activities of dental hygienists. A committee was appointed to draft guidelines for grants to support research studies conducted by dental hygienists. The Foundation's first Research Grant Program was initiated in 1979, and an advertisement in Dental Hygiene (formerly JADHA) in March of 1980 called for applications from the community of dental hygienists.17 The goal was to broaden ADHA's involvement in various oral health research initiatives. In addition, internal association-related endeavors that relied on research or statistical expertise were supported. Dental hygiene, as a developing discipline, was realizing the importance of building its unique body of knowledge and establishing its importance to society. The ADHA and master's level graduate programs for dental hygienists and dental hygiene scholars were successfully contributing to an evolving infrastructure for dental hygiene research. The continued efforts of dental hygiene researchers with the support of ADHA and the Canadian Dental Hygienists' Association (CDHA) during the 1980s contributed to a budding infrastructure to support dental hygiene research. Several national and international research conferences were conducted to connect dental hygienists involved in or interested in research, beginning to build the critical mass of dental hygiene researchers. The first Conference on Dental Hygiene Research was held in Winnipeg, Manitoba in 1982. It was sponsored by the Working Group on the Practice of Dental Hygiene's Subcommittee on Research and the University of Manitoba. Fourteen distinguished researchers and consultants from across Canada and the U.S. served as conference leaders, and 42 dental hygienists, representing education, public health, hospital and private practice settings, attended as participants.22 The focus of the conference was the importance of a unique body of knowledge in dental hygiene and linking research to practice, education and the health of the public. The underlying goal was to begin to move dental hygiene from a field of study to a discipline by advancing science and practice and providing documentation of the societal value of services provided by dental hygienists. In 1984, ADHA held its first National Agenda on Dental Hygiene Research Conference in Denver, Colorado. The aim was to encourage participation in research and enhance participants' research and dissemination skills, as educators were the predominant group in attendance.23,24 Three years later, in 1987, the second ADHA National Conference on Dental Hygiene Research was held at the University of Iowa in Iowa City.25 This conference was directed toward theory development, the developing discipline of dental hygiene and approaches for building knowledge distinctive to the discipline. This program advanced the agendas of the first 2 conferences, however, it was designed to promote the development of theoretical models in dental hygiene, its unique perspective and the potential to conduct dental hygiene research from the perspective of oral wellness, oral health education, disease prevention and health promotion. Clearly, as the speakers pointed out, dental hygiene had relied on borrowed information from other disciplines including nursing, dentistry, social sciences and others, and dental hygiene research had not been conducted within unique dental hygiene conceptual or theoretical frameworks.4 Bowen, Darby and Walsh, and Dickoff and James suggested that dental hygiene's perspective was sufficiently distinct to guide the development of a unique body of knowledge, however, the challenge would be to develop conceptual frameworks and encourage dental hygiene research within those frameworks and others.26-29 This process would be necessary to becoming a discipline. During the same period, beginning in 1987, research findings and the expanding perspective of dental hygiene were, once again, being applied to advance dental hygiene practice. The Health Manpower Project (HMPP#139), The Dental Hygiene Independent Practice Prototype, also known as the California Demonstration Project in Independent Practice, was approved for exemption from restrictions of the dental practice act and funded in California. Pioneering clinical dental hygienists were collecting data in independent practices to support unsupervised dental hygiene practice.30 Despite several ongoing challenges and a lawsuit by the California Dental Association to block the pilot project, the clinicians collected data for 3 years regarding 1,500 individuals that they had treated without harm. The study documented safety and improved access to dental hygiene care in unsupervised settings using a planned, systematic approach to alternative oral health care methods. It was not until 1998 that the California state law was changed to support Registered Dental Hygienists in Advanced Practice (RDHAPs), based on these research findings and the continuing commitment of these dental hygienists. ADHA sponsored a conference in 1987 regarding the expanding roles of the dental hygienist as a member of the health care team, rather than solely as a member the oral health care team. Outcomes of that conference and recommendations for the advancement of dental hygiene were published by ADHA in 1988 in a report entitled Prospectus on Dental Hygiene, co-authored by Brine et al and members of the ADHA Steering Committee for the Workshops on the Future of Dental Hygiene Practice and Education.31 The document opened in the preface by stating ”All occupations have an obligation to society periodically to assess their value and relevance to society and take whatever actions are indicated to fulfill their societal contract.” It is indicated that, although data to document the future of dental hygiene was incomplete, there were sufficient data available to chart a course for the future of the profession. The Steering Committee also emphasized the importance of continued research to document the value of dental hygiene services to the health of the public. Six roles were identified for dental hygienists, including clinician, oral health educator, consumer advocate, administrator/manager and, for the first time, researcher. A goal for minimum entry level educational requirements for dental hygiene also was established as a baccalaureate degree. Concurrent contributions to the infrastructure for dental hygiene research were being made. In 1988, ADHA established its first Council on Research to manage and support research that would validate the impact of the professional services provided by the dental hygienist, and establish the theoretical base for dental hygiene practice. The work of the Dental Hygiene Research Grant Committee of the ADHA Institute for Oral Health sparked a development campaign to establish a research fund. The successful campaign resulted in a $150,000 endowment and a faculty research fellowship program. Small grants up to $1,000 were available to dental hygiene researchers as seed money for pilot studies. Oral-B Laboratories subsequently initiated a Dental Hygiene Research Grant Program, with awards available up to $5,000. Larger grants require pilot data, therefore, the development of these small but significant grant programs provided a foundation for the availability of funding to support dental hygiene research. These contributions addressed some of the elements needed for a dental hygiene research infrastructure and fostered a concentrated effort towards theory development in the U.S. and Canada. Darby and Walsh further developed this paradigm and proposed the Human Needs Conceptual Model for dental hygiene in 1993, for use as a theoretical framework for research, education and practice.40 The model proposes that human beings take actions to meet unmet needs and dental hygienists can provide care to meet those unmet needs. This conceptual model was the first proposed for the discipline of dental hygiene. Since that time, other conceptual models have been proposed and examined through dental hygiene research. The Oral Health Related Quality of Life Conceptual Model by Williams et al proposed that acceptable oral health, function and comfort is integral to acceptable general health.41 The Client Care Commitment Model proposed by Calley et al suggested relationships between dental hygienists' and client interactions, client motivation, cultural influences and commitment to oral health.42 All of these models describe a process of care that is both unique and distinct for dental hygiene, yet relatively few research studies have been grounded in theory or conceptual frameworks to date. That same year the International Association of Dental Research (IADR) recognized the growing critical mass of dental hygiene researchers and their unique perspective, establishing the Oral/Dental Hygiene Research Group, first chaired by Walsh. The IADR later changed the name to the Oral Hygiene Research Group. Today, the dental hygiene perspective of that group remains, but has diminished. Unfortunately, despite these improvements in the 1990s, dental hygiene research did not advance to the level hoped; many researchers continued conducting isolated pilot studies rather than theory-based research, and significant funding opportunities remained scarce. The first decade of the new millennium brought new research agendas, developed and adopted by both CDHA and ADHA, with the latter validated by the NCDHR.47-50 In 2002, annual National Conferences in Dental Hygiene Research in Sweden were initiated. The meetings were held at Dalarna University for doctoral students and doctoral-prepared dental hygienists to present their research findings, however, the doctoral degrees were earned in related disciplines, as a doctorate in dental hygiene had not been developed. In 2003, the first Dental Practice-Based Research Network for dental and dental hygiene practitioners was initiated, primarily through grant funding from the National Institute of Dental and Craniofacial Research.51 ADHA published Focus for Advancing the Profession in 2005, establishing 3 major aims and several related objectives for dental hygiene research in everyday clinical practice.52 These research-practice linkages were important to bridging the gap between new knowledge and improved client care, however, they did not contribute significantly to advancing dental hygiene as a discipline. Many individuals that had been involved in dental hygiene research for decades began to ask why. Despite over 30 years of progress in dental hygiene research and related achievements, why has the profession not enjoyed full recognition by society as a unique discipline linking dental hygiene actions in practice with underlying dental hygiene science as the foundation? One of the main stumbling blocks over the years has been the lack of a doctoral degree in dental hygiene. Those scholars who obtain advanced degrees in related disciplines often are lost to those areas of study. Doctoral-prepared dental hygienists who are successful in conducting research related to the dental hygiene theoretical or conceptual models frequently publish their findings in journals outside of the discipline. Funding is elusive for dental hygienists without doctoral degrees and a track record in research. As a result, regardless of adding individuals to the critical mass of dental hygiene researchers, the discipline constantly is battling the loss of some of its scholars. Fortunately, there remains a core of dental hygiene researchers, now spanning the globe, who continue to endeavor to build a stronger infrastructure to support dental hygiene as a discipline. Dental Hygiene at a Crossroads, a 2009 report on research in dental hygiene, recommended initiatives to encourage dental hygienists to pursue research-based advanced degrees and to foster collaboration between doctoral candidates and holders of doctoral degrees in dental hygiene and related disciplines.53 The goal would be the study of oral health-related questions within the framework of dental hygiene. International initiatives would serve to strengthen the opportunities for collaboration and innovation. Also in 2011, an international task force was formed to plan the first doctoral degree program in dental hygiene.58 Gurenlian, with the support of Idaho State University, convened a group of international dental hygiene researchers, scholars and graduate students to begin planning curriculum and competencies for a Doctor of Philosophy (PhD) degree program in dental hygiene. Our discipline depends on a strong foundation in science and dental hygiene research findings to advance practice and education. It is our obligation to our clients and to society to develop skilled dental hygiene researchers and to study interventions that lead to improved oral health outcomes. Realization of these goals would also secure our future as a unique discipline of importance to society. As noted, JDH has played a significant role in capturing the outcomes of dental hygiene research as well as initiatives to foster it. Since the first issue in 1927, JDH has provided dental hygienists with a link to the latest information related to the profession. As dental hygiene research became a key component of the profession, JDH has endeavored to provide a leading, peer-reviewed scientific publication in the discipline (Table II). The name changed from the Journal of the American Dental Hygienists' Association (JADHA) to Dental Hygiene (J Dent Hyg) in 1972 and then to the Journal of Dental Hygiene (JDH) in 1988, as it remains today. Dental hygienists were not the predominant group of authors of dental hygiene manuscripts. However, they were increasing in proportion to dentists. In 1935, 24% of all authors were dental hygienists and dentist comprised 26% of all authors. Possibly because of the educational credentials of early dental hygienists, research manuscripts comprised less than 10% of the articles published in the journal. The first research manuscript was published in 1945 when dental hygiene educators, predominantly dentists, were trying to document the need for minimum educational standards. Several related articles followed in 1945 and 1946, and the profession realized the importance of research when 2 years was adopted as the minimum length of study in 1947.9 Perhaps research studies today comparing the scope of dental hygiene practice, curricular components and the needs of an aging population to those of 1947 would justify an increase in length of study beyond 2 years after 66 years of expansion. Since 1970, the editors of the Journal have been registered dental hygienists (Table III). A 2003 article by Danner published in JDH celebrated 75 years of the journal, now celebrating 85 years.61 Interviews with some former editors quoted by the author indicated their common goals of increasing the emphasis on dental hygiene research and advancing the body of knowledge in dental hygiene. Some editors also mentioned their role as mentor of authors in the developing discipline, a challenging undertaking without question. An analysis of articles published by Boyer and Nielsen in Dental Hygiene from 1975 until 1981 indicated there was a substantial increase in the proportion of the journal devoted to manuscripts. Not only were dental hygienists the majority of authors (51%) but the number who held masters degrees also increased from 12% in 1975 to 36% in 1981. Information papers remained the most common, however, research papers increased over the same time period from 26% to 32%, with about half of them being experimental in nature and the other half being descriptive.18 These changes support the notion that more advanced education is critical to building a unique body of knowledge in dental hygiene to support practice and the discipline. ADHA's publication of other periodicals in the mid-1980s further enhanced the ability of JDH to focus more on scholarship and research. In 1986, Access was published as a tabloid for information, anecdotes and governmental affairs related to dental hygiene practice. In 1987, Access became a monthly magazine. In 1988, Educational Directions, a journal dedicated to articles related to dental hygiene education provided a venue for advancement of educational research and dissemination of information related to educational standards in dental hygiene. Its publication ceased in 1987, and scholarly papers related to dental hygiene education were once again published in JDH. JDH has benefitted from the dedication of many highly skilled editors since its inception. Particularly notable are Wilma Motley, RDH and Mary Alice Gaston RDH, MS, who were honored with the title of editor emeritus in 1970 and 2006, respectively. In 1989, when Olga Ibsen was editor, JDH was the recipient of the Golden Scroll Award from the International College of Dentists. This award recognized the most improvement in a dental professional journal.60 A study by Haaland in 1999 documented that JDH was number one in distribution and indexing coverage of cited journals in the dental hygiene literature, followed by the Journal of Dental Education and the Journal of Clinical Periodontology.61 In 2009 and 2011, JDH established record numbers of manuscript submissions, and in 2011 JDH transitioned to a fully online format.62 The first issue of JDH in 2013 was 55 pages in length including a record 75% research manuscripts. An expanded and improved journal has been realized under leadership of Rebecca Wilder, RDH, MS, JDH editor-in-chief since 2006. The mission of JDH today continues to be providing a scholarly peer-reviewed scientific journal publication in the discipline. There is no doubt that JDH has supported the dissemination of dental hygiene research findings and professionally-related information since the first research article was published in 1945 and will continue to do so in the future. Dental hygiene celebrates 100 years of providing preventive oral health care services to the public. These services have been supported by research and dental hygiene practice has expanded as a result of research findings since dental hygiene's inception. However, dental hygienists' engagement in research did not begin until the mid-1960s as research associates or administrators, primarily with dental researchers as primary investigators. JDH has provided information for dental hygiene practice and has been the primary venue for dissemination of dental hygiene research since its launch in 1927. Graduate education in dental hygiene at the master's degree level and the work of early dental hygiene researchers eventually lead to the first conference on dental hygiene research in 1982. Over 30 years later, dental hygiene researchers have established a paradigm and defined conceptual models for research, built an initial infrastructure to support future endeavors and contributed much to the development of dental hygiene as a unique discipline. A doctoral degree in the discipline, theory-based research, initiatives to foster interprofessional collaborations between dental hygiene and other researchers and the capability to attract funding are all goals that must be attained through the efforts of future researchers in the developing discipline of dental hygiene. Ignorance can be deadly. Dental hygiene scholars and researchers know, all too well perhaps, that our futures will be filled with opportunities, gratification, successes and advancements, as well as pitfalls and disappointments. Such is the nature of scientific inquiry required for dental hygiene to continue its growth as a profession and eventually to become a unique discipline. 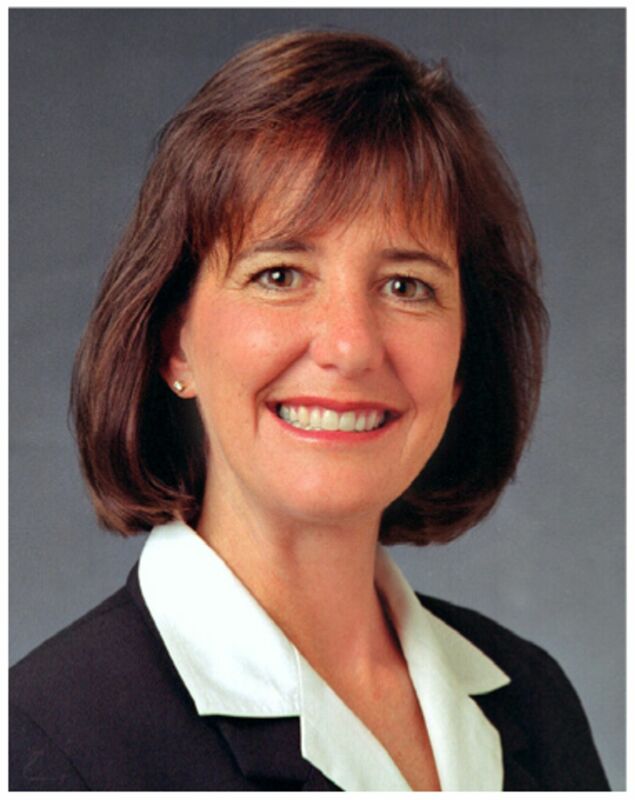 Denise M. Bowen, RDH, MS, is Professor Emeritus in Dental Hygiene at Idaho State University.
. Dental hygiene: a developing discipline? J Dent Hyg. 1988;62(1):23-25.
. Fones: The father of dental hygiene. J Dent Hyg. 1939;13(1);1.
. Origin and history of the dental hygienists movement. J Dent Hyg. 1929;3(3):7.
. Oral hygiene as an exact science. J Dent Hyg. 1926;11(2):14-22.
. Dental hygiene at 75. J Dent Hyg. 1988;62(9):458-463.
. Measuring professional growth. Analysis of dental hygiene manuscripts, 1927-1959. J Dent Hyg. 1988;62(3):118-124.
. Report on the Curricula on Training for Dental Hygienists, 1917-1945. J Dent Hyg. 1946;20(1):69-75.
. A research program for master's candidates in dental hygiene: II. J Dent Hyg. 1966;40(2):143-145.
. The role of the dental hygienist in dental research: I. J Dent Hyg. 1966;40(2):69-71.
. The hygienist in dental research. J Dent Hyg. 1971;45(6):383-384.
. J Dent Hyg. 1974;48(4):204-213.
. The new breed. Dental Manage. 1974;14(9):14-15,18,20.
. The future of dental hygiene. J Dent Hyg. 1976;50(9):411-419.
. Research grant applications available. J Dent Hyg. 1980;54(3):113.
. Content analysis of original manuscripts in Dental Hygiene: 1975-1981.
. Research Methods for Oral Health Professionals. CV Mosby: St. Louis, MO, 1980.
. A commitment to excellence in practice through a research infrastructure. J Dent Hyg. 1996;70(1):4-6.
. Building a research infrastructure. J Dent Hyg. 2010;84(1):11-13.
. Special Issue: 1984 National Agenda on Dental Hygiene Research. J Dent Hyg. 1984.
. Sharing research ideas and methods: A summary report of the national agenda on dental hygiene research. RDH. 1985;5(1):32-34.
. Proceedings of the Second National Conference on Dental Hygiene Research. J Dent Hyg. 1988;62(1).
. Dental hygiene: a developing discipline? J Dent Hyg. 1988;62(1):23–25.
. Theory development and basic research in dental hygiene: review of the literature and recommendations. Report for American Dental Hygienists Association, 1990. First presented at first presented by M.M. Walsh at the Symposium on Dental Hygiene Research, Education and Practice, University of Alberta, 1990.
. Organization and expansion of knowledge: toward a constructive assault on the imperious distinction of pure from applied knowledge, of knowledge from technique. J Dent Hyg. 1988;62(1):15–20.
. The California Demonstration Project in Independent Practice. J Dent Hyg. 1994;68(3):137-142.
. Prospectus on Dental Hygiene. [Co-authored by P Brien, et al., Members of the ADHA Steering Committee for the Workshops on the Future of Dental Hygiene Practice and Education]. 1988.
. A discourse on the nature of dental hygiene knowledge and knowing. Int J Dent Hygiene. 2009;7:10–16.
. Toward a clearer understanding of dental hygiene research, theory and practice. Proceedings of the Conference on Dental Hygiene Research. Ottawa, ON. Health and Welfare Canada, 1982, 10–13 p.
. Proceedings of the Conference on Dental Hygiene Research. Ottawa, ON. Health and Welfare Canada, 1982.
. Theory development and basic research in dental hygiene: review of the literature and recommendations. Report for American Dental Hygienists Association. 1990.
. Theory development in dental hygiene. Can Dent Hyg Assoc J Probe. 1991;25(1):12–18.
. Theory development in dental hygiene – reactor paper 1. Can Dent Hyg Assoc J Probe. 1991;25(1):19–21.
. Theory development in dental hygiene – reactor paper. Can Dent Hyg Assoc J Probe. 1991;25(1):27–28.
. ADHA Policy Manual. Adopted 2008 June 24. Updated 2012 July 30.
. A proposed human needs conceptual model for dental hygiene. Part 1. J Dent Hyg. 1993;67(6):326–334.
. Oral health-related quality of life: a model for dental hygiene. J Dent Hyg. 1998;72(1):19–26.
. A proposed client self-care commitment model. J Dent Hyg. 2000;74(1):24–35.
. The ADHA National Research Agenda: White Paper by the ADHA 1993-1994 Council on Research. J Dent Hyg. 1994;68(1):26-29.
. Reaching consensus of the National Dental Hygiene Research Agenda: A Delphi study. J Dent Hyg. 1995;69(6):261-269.
. A qualitative study of the occupational status and culture of dental hygiene in Canada [dissertation]. Winnipeg (MB), University of Manitoba, 1999.
. Prioritization of the National Dental Hygiene Research agenda: 2000-2001. J Dent Hyg. 2002;76(2):157-166.
. A Delphi study to update the American Dental Hygienists' Association National Dental Hygiene Research Agenda. J Dent Hyg. 2009;83(1):18-32. Proceedings and abstracts from the North American Dental Hygiene Research Conference, June 15-17, 2009, Bethesda MD. J Dent Hyg. 2009l;83(4):150-240.
. Conference overview and acknowledgement. The North American Dental Hygiene Research Conference. J Dent Hyg. 2009;83(4):151-152. Proceedings and abstracts for the 2nd North American/Global Dental Hygiene Research Conference. J Dent Hyg. 2012;86(1).
. The 2nd North American/Global Dental Hygiene Research Conference: conference overview and acknowledgments. J Can Dent Hyg. 2012;46(1):17.
. Doctoral hygiene education – sooner rather than later. RDH. 2012.
. Looking back at 75 years of the journal: Former editors reflect on their time with the journal. J Dent Hyg. 2002;76(1):10-13.
. Mapping the literature of dental hygiene. Bull Med Libr Assoc. 1999;87(3):283-286.
. Editorial. J Dent Hyg. 2011;85(4):242-243.